Honestly, we don't know how we haven't covered this off earlier. I think it's safe to say we've all been stuck in one of those annoying situations where you're trying to catch up with a friend for coffee and you foolishly make a date for an afternoon pick-me-up, only to find the local café of your choosing has been closed for two hours, or if it IS open, you have to shovel down your coffee and cake before you get kicked out by closing time. It's a real dilemma. Not to worry though, our frustrations from turning up at closed doors has lead us to do some rather thorough research for you to make sure you don't get stuck without your caffeine buzz at 3pm when you really need it. 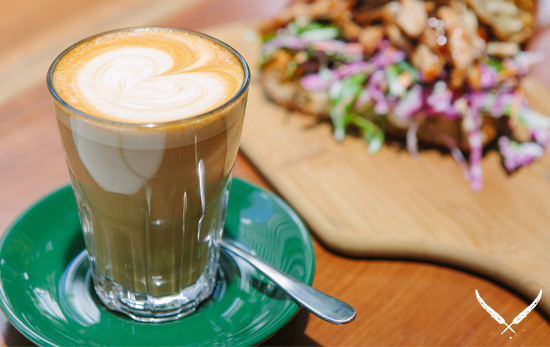 Here is a list of some coffee spots around Brisbane you can rely on to be open for yours and your comrades' afternoon caffeine hit. These are Brisbane's best cafes open after 3pm. 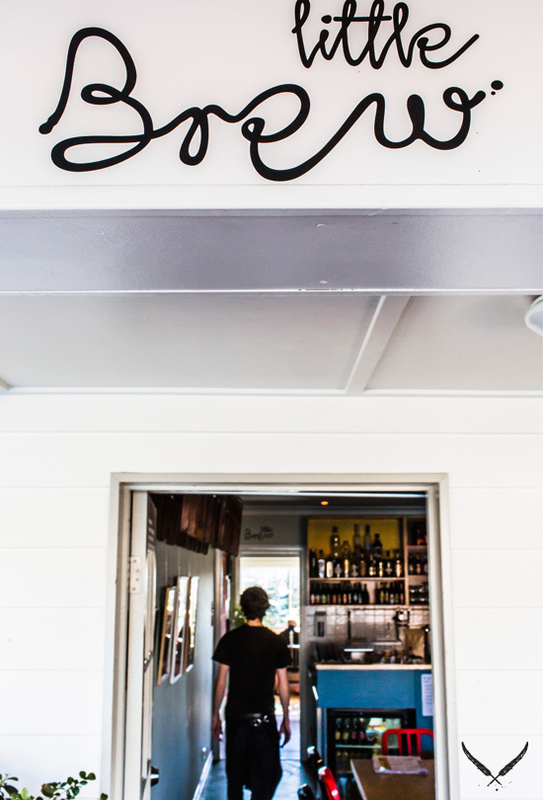 Spring Hill's newbie, Jak + Hill is open from 7am straight through to dinner service, so you can pop by in the afternoon knowing they'll be ready to serve you a great coffee, and (bonus) the lunch menu is available up until dinner. They also have plans in the works to introduce a bar menu in the coming weeks, so there'll be even more great food to choose from in the evening hours. More than just a few of you for afternoon tea? Not to worry, Sassafras has thought of you! As if we weren't already in love with the menu, the team have gone one better by putting together an afternoon tea package for you big groups out there. For groups of 15 and up, afternoon tea packages are up for booking. Available every day from 2-4pm, a $30 cover per person includes corkage for BYO, T2 tea and Single Origin Roasters coffee, to help wash down a range of yummy scones, sandwiches and petite cake slices. Set in the leafy backyard at Sassafras, this is the perfect spot for an afternoon unwinding with your friends or work team. Book your spot now! An iconic classic in West End, loved by all locals and café enthusiasts, The Three Monkeys never disappoints with their late afternoon/late night coffee and dining. With a recent change in management as well, we look forward to more cakes and coffees than ever before! The Villager in Brisbane's CBD has always been where sophistication meets great quality food. The Gastrobar and Supper Club have continued to prevail with their delicious menus and unrivalled drinks menu. Managed to pull yourself out of work an hour early? Sit yourself down at the long bar at the Villager for your wind-down coffee and stick around to sample from their dinner menu. Where fashion meets food, Denim Co is also where your late plans meet a host. Sit back and enjoy an afternoon coffee in the breeze at South Bank, or take it with you while you browse through their racks of unique garments and accessories. Open until 7pm every day of the week, and until 10pm on Friday nights, Jamie's is a local favourite for afternoon coffees, afterwork drinks, simple, hearty food, and a chilled atmosphere. This is one of our most frequented Brisbane cafes open after 3pm, no doubt about it. Yes, we have a lot of love for the team behind Little Brew in the Paddington Hills, even more so because they are open in the afternoons and well into the evening for your coffee and drinks hit from Thursday through to Sunday. Their very cute outdoor space is ideal for afternoon catch-ups. Come in for the coffee, stay for the fabulous dinner and drinks (you can read our review here!). The iconic French patisserie that has had CBD visitors (and visitors from far and wide) swooning over their fresh, authentic pastries and desserts. Located in the heart of the city, Le Bon Choix has beautiful fresh coffee and delicious desserts and nibblies are right at your fingertips. Open till 6pm on weeknights means you can pop right down after work and still be able to relax and ponder taking up French classes while chewing on a pain au chocolat. If it's more a combination of beers and coffee you're after, rather than coffee then hometime, Lock n Load have their doors open till late every night. Of course if you do happen to stick around for an extra coffee or beer, the dinner menu begins from a wonderfully early 5.30pm! One of our resident favourites, A&C plays host to a dangerously delicious late night dessert menu. If you're popping in just after work, the open air and tables mean you can have your casual afternoon catch up over coffee. If you plan on staying late through the evening, the dinner menu and dessert menu are set to please, and they do a mean espresso martini that combines the best of the caffeine and alcohol worlds. It's no surprise that this spot has become increasingly popular in recent times, especially given the ample seats and tables available for you and your friends to catch up over a coffee (or wine or beer too, of course!). Finish work at 4 or 5? Pop in to Sixes and Sevens and set up at the open seats outside and watch the evening roll in, bringing with it the nightlife of James Street. Nestled in the hub of the ever popular dining scene at Paddington, Kettle & Tin is equipped with tasty food and drink options. Open to 5pm on Mondays and late for the remainder of the week, you can rest assured there will be something open if you decide to have a coffee or catch up at 3pm. Tuesdays also play host to Trivia Night if you hang around till 6.30pm!